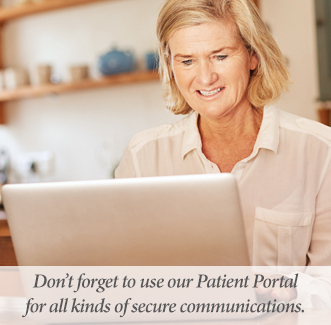 If you need to provide our office with information, request an appointment, request a prescription refill, ask a question about your health or bill, the best way to communicate with us is to access our secure Patient Portal. If you have questions regarding our Patient Portal, please visit the Patient Portal Frequently Asked Questions page or call our office and a staff member will be happy to assist you. Copyright © 2019 Family Practice Associates All rights reserved.